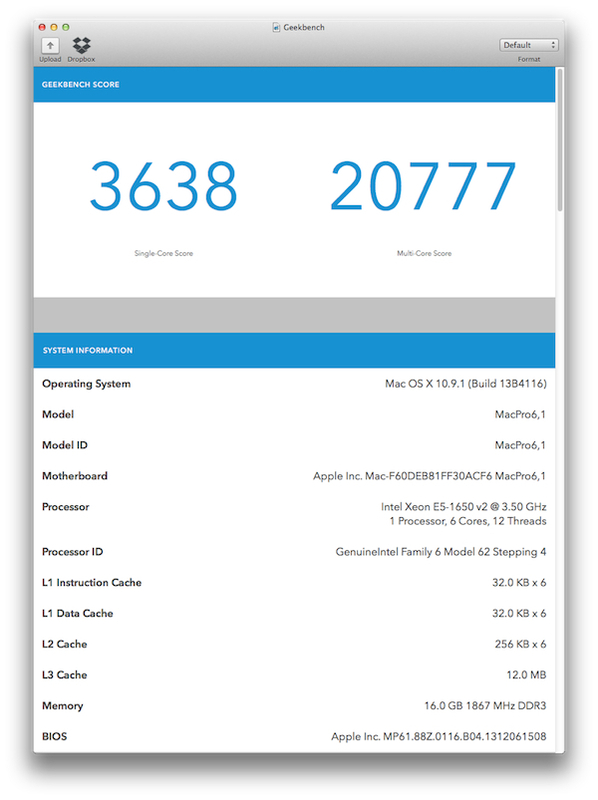 During the past week we have reported the processor of the new late 2013 Mac Pro is upgradeable. 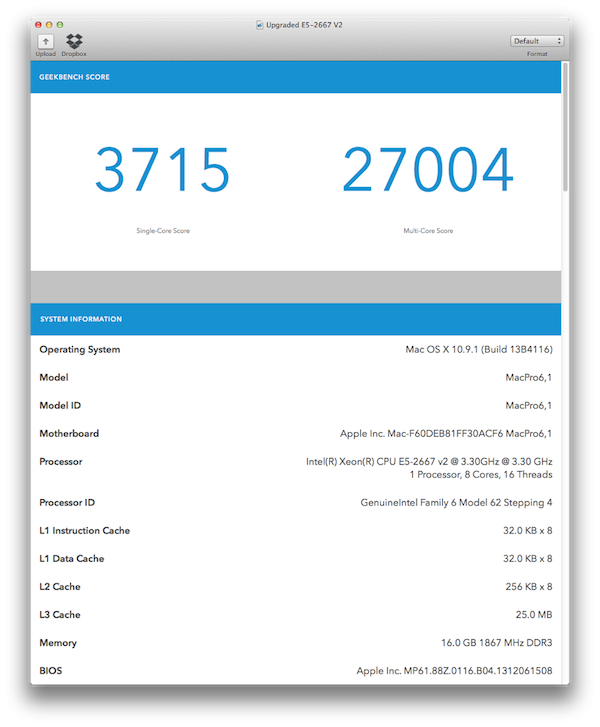 The team at OWC got an Intel E5-2667 V2 8-core 3.30GHz CPU, installed it in the new Mac Pro and benchmarked it. The results were then compared to the scores of the stock Apple model, which has an Intel E5-1650 V2 6-core 3.50 GHz CPU. 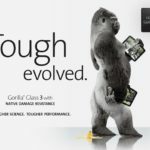 The benchmarks showed a 30 percent multi-core performance increase with the upgraded CPU. The tests were conducted with 64GB of OWC memory.